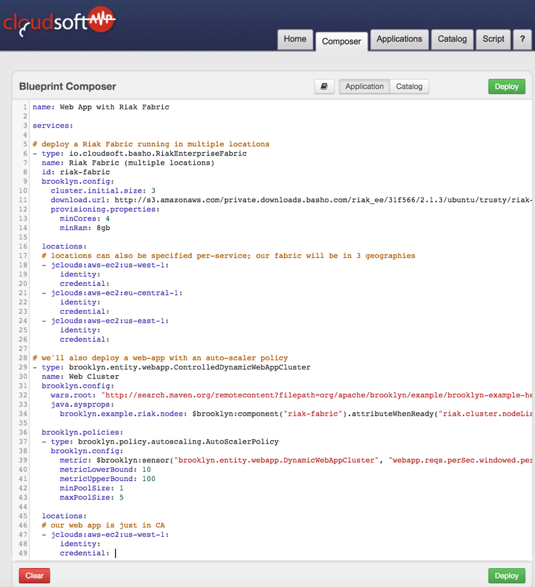 Start your introduction to Cloudsoft AMP by walking through a successful deployment of a non-trivial Basho Riak KV Enterprise platform in a multi-data center configuration. That's a quick start! Your course instructor will provide you with AWS credentials (to spin up a Riak KV Enterprise fabric). The purpose of this module is to provide a very brief introduction to Cloudsoft AMP and to lead you through a successful deployment of a non-trivial Basho Riak KV Enterprise platform in a multi-data center configuration. This will allow you to see how Cloudsoft AMP can model, deploy and manage complex enterprise fabrics to support services that need to be globally available, scalable and resilient. What does AMP do – and how? 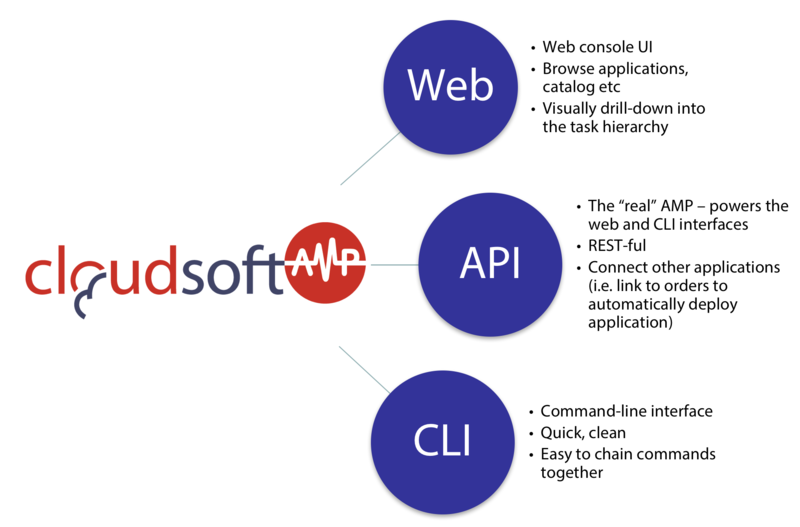 This very simple overview illustrates how your applications are 'blueprinted', deployed, monitored and managed in any location by Cloudsoft AMP. What are the basic concepts of AMP? Why do you need to know YAML? Its familiar indented outline and lean appearance make it especially suited for tasks where humans are likely to view or edit data structures, such as configuration files. How do you create a blueprint? Let's download it first using this download link or copy it from below. Copy/paste the content into your YAML editor. Can you find the 5 sections you need to customize? How does Cloudsoft AMP provision VMs?